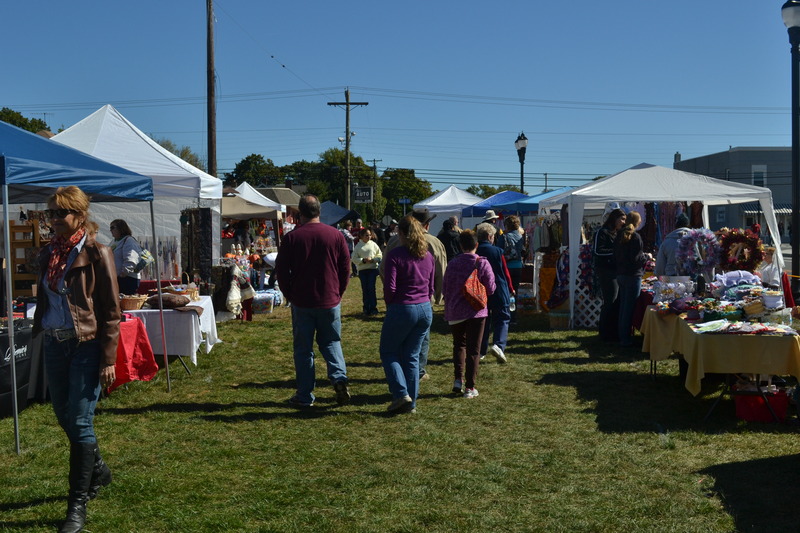 On Saturday, October 13th, 2012, the Glassbro Market Place hosted their final outdoor event of the year, the Craft and Crafts Festival. Throughout the summer season and into the Fall, Glassboro has hosted a number of outdoor events that draw local vendors, South Jersey residents and nearby students to the strip of land next the Rowan Barnes & Nobles for shopping, music, entertainment, food and much more. The Craft and Crafts Festival opened the space to many local vendors to set up on a beautiful Fall day to show off and sell their artistry. 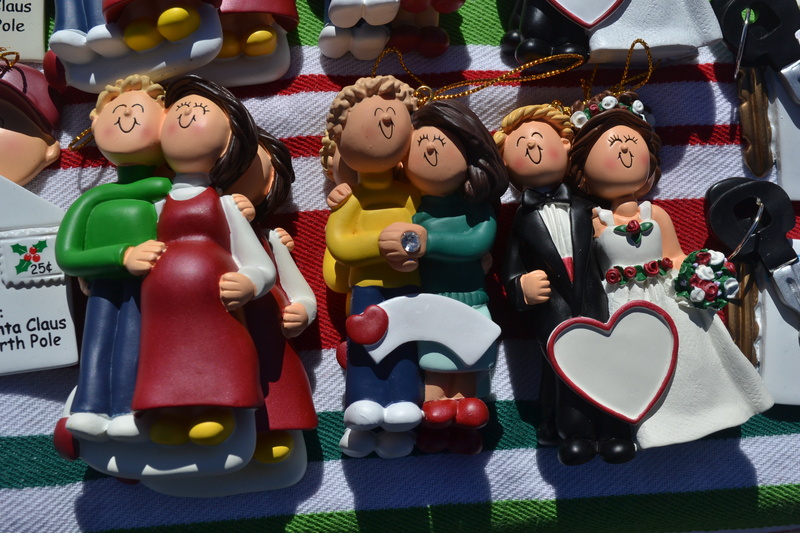 Some of the items for sale included jewelry, beauty supplies, ceramics, clothes, purses, ornaments and wood carvings. Also in attendance were many local restaurants providing some of their menu items for Festival goers. There were also local vineyards offering samples of their craft beverages. 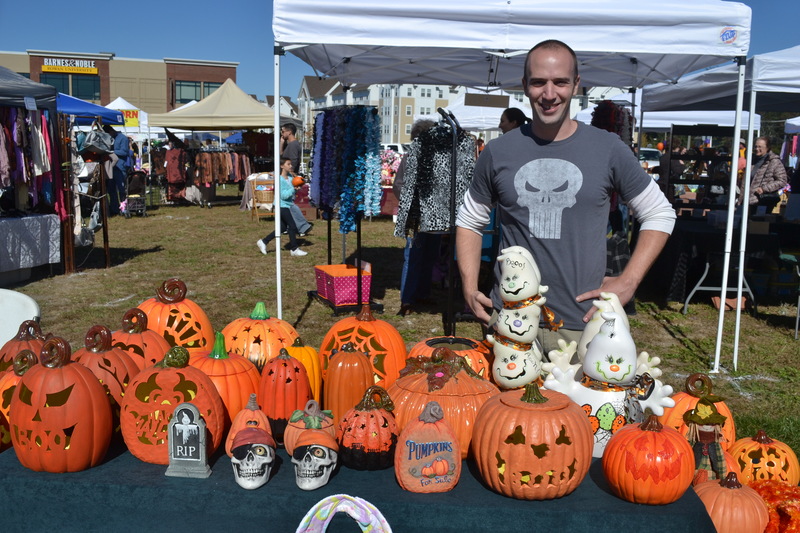 The Craft and Crafts Festival featured a pumpkin painting station for kids of all ages and an inflatable moon jump. 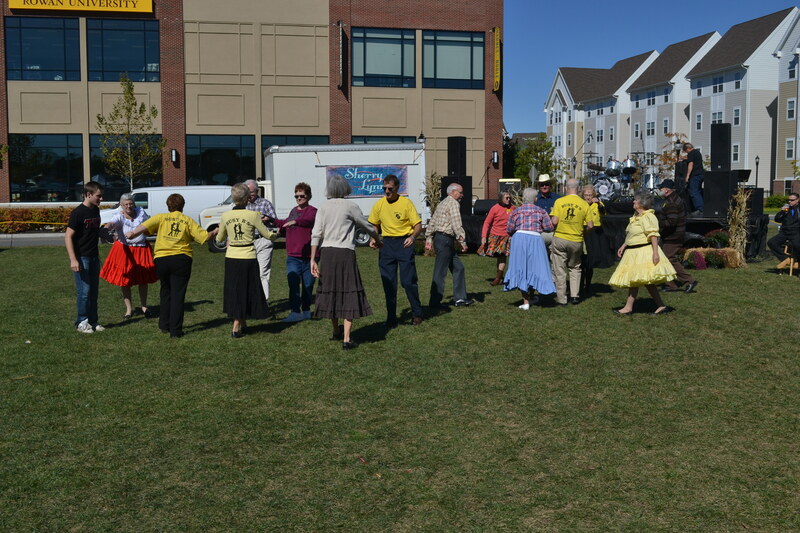 The Festival also featured a live performance by country music singer Sherry Lynn and square dancing sponsored by Busy Bees Square Dance Club and Dr. Dan’s Country Line Dancing. In attendance of the festival for the first time was vendor Blair Slavin. Slavin is part of Demi Ceramics which produces a number of ceramic creations all from a two-car garage in Haddon Township, New Jersey. The company is run by Slavin’s mother, Demi, who was not in attendance but who drives the family operation. Slavin explained his personal journey into the field of ceramics. “My mom got me into it, I’ve been doing this since I was 14,” he said. Slavin also explained the process behind making the creations, which can take up to 12 to 18 hours of baking in a kiln after clay is poured into a mold and then painted or glazed. It was also independent beauty consultant Danielle Larson‘s first time as a vendor at the Craft and Crafts Festival. Larson had for sale a wide array of beauty products set up neatly on a folding table near the edge of the Festival. “I do some Fairs and events like this but I mostly do in home visits where I do 15 minute facials and let customers try the products out before they buy them,” said Larson. She also claimed that buying beauty products through an independent seller like herself could save a consumer up to 50% compared to in-store prices. 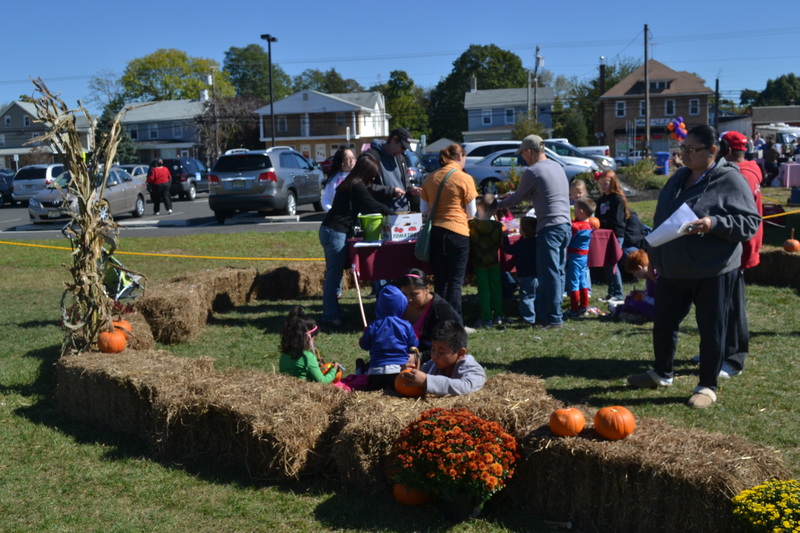 The Craft and Crafts Festival provided local residents and Rowan students a fun way to spend a Saturday afternoon and is just one example of the way Glassboro is forging new bonds with its role as a suburban community and a university town. I wish you had a picture of you on the moonbounce. That would have been cool. Your blog is imformative and interesting, and your photos are a good touch. I’d just break up your paragraphs a little bit more in between each picture. Those pictures are really good, in both quality and subject. Also, I might agree with the other comment. Breaking up the paragraphs more, if just slightly, could make it easier to focus on the writing. Overall, great blog.